As a member of the management team for the British Airways, John played a huge role in spearheading the growth of AIR MILES, the loyalty programme for the airline which surpassed all expectations to become a multi-collection system. This was groundbreaking at the time due to it being one of the first airlines to achieve this incredible success. As the head of the “Onephone” project, the world’s first Converged mobile and fixed service from British Telecommunications (BT), to the development of “Clubcall” for the Barclays Premier League, John revitalized customer satisfaction in line with consumer demands. As a Marketing Director at T-Mobile, with responsibility over the Pan European marketing strategy, John grew the number of active users of their portal from 0-650,000 in its first 18 months. As a co-founder and Director of a software start up “Fastmobile”, John co-led the organization from a barn extension in rural Kent, to a partnership with a Chicago based VC firm and eventual sale to Blackberry maker RIM, who in turn used the groundbreaking innovations in their Blackberry software manufacturing. John has also been a consultant in several industries including Membership Services with the GSMA, Sport Industry (Olympics) and international telecom advisor to Vodafone and T-Mobile. 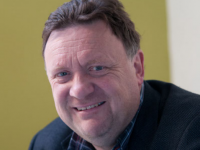 Drawing on his career in management, sales and marketing, spanning over a 30 year period, John developed a keen sense of talent management and executive leadership coaching through managing teams and projects on a global level. Focusing on Senior Leadership and Team Management Coaching, he has helped dozens of CAO’s and employees in the last decade, to achieve business objectives in a wide range of industries through use of strategic advice, marketing and observation of team performances. His expertise is in developing customer-centric organizations, diversity management, business start-ups, change management, career coaching and building the coachees personal skills to excel in both their personal and professional lives. If you are looking for a highly experienced international marketing consultant who is happy to help out both the large MNC and the smallest of SME’s, by using his systemic approach to coaching and mentoring to develop both your business and yourself, John is the result orientated man that will empower the individual and catapult your business to a new level of success! His strength lies in his natural ability to mentor those in need, his in-depth team function knowledge, stimulating new thoughts and helping senior teams stretch their strategic thinking while promoting motivation and teamwork within any organization. Category Meet the Team | Bookmark the permalink.